Engagement is an essence of any conflict resolution exercise. In an armed conflict theatre, once violence is brought down to manageable limits, a dialogue follows. Ultimately the aim is to strengthen democratic institutions and take well measured steps towards demilitarization. With situation in Jammu and Kashmir showing signs of improvement after a turbulent 2016, the decision of the Government to appoint a Representative to initiate and carry forward a dialogue must be welcomed as a positive development. It is the prerogative of the Government to decide when to engage. The unending debate on timing of announcement, change of strategy from “no engagement” to initiating a dialogue and whether standalone security measures can bring normalcy, will not die down soon. What is important is that this announcement has come at a time when the State has an upper hand as far as terrorist violence and morale of separatists is concerned. That should help in a purposeful engagement with various stake holders. The Former IB Chief Dineswar Sharma as an Interlocutor has an unenviable task ahead. Dineswar is knowledgeable, maintains a low profile and begins with a clean slate. All these are prerequisites that make him a good choice for the assignment. His appointment as a Representative of the Government gives him an official status and easy access not only to results of previous efforts but also to the official assets and machinery to carry forward his mission. This definitely gives him an initial advantage in quickly establishing contacts with the stake holders. As Representative of the Government he will also be well within his rights to suggest interim confidence building measures from time to time without waiting for the final Report on conclusion of the mission as happened in some earlier efforts. Such an arrangement can speed up improvement of situation on the ground. However, the Interlocutor will be closely watched whether his being part of the Government influences his objectivity in analyzing the situation. It will be of advantage to the mission if he withstands undue influence generated by hard line competing political interests averse to finding a way forward to a solution. He must get a free hand in search of a set of measures for lasting peace in the State, the only limit being the one set by the Constitution. Incidents of terrorist violence in Jammu and Kashmir have continuously dropped since the post-Kargil peak of 2001. However, the ground situation, for reasons well known, deteriorated in 2008, 2010 and 2016 in particular. It goes to the credit of the Governments from time to time, that despite heavy odds, the democratic process resumed by the 1996 Assembly elections has moved forward uninterruptedly. The latest election of 2014 witnessed record turnout even in separatist strongholds like Srinagar downtown and constituencies of South Kashmir. A series of credible democratic exercises including Panchayat polls had bridged the trust deficit, at least of the electoral variety, to a large extent. At the end of the 2014 polls the separatists were completely marginalized. A coalition Government representing the aspirations of the major regions of the State came to power. Soon after, the security situation began to drift. In Kashmir valley the youth appeared disillusioned paving way for radicalization and ascendancy of separatists whose leadership united. Protests and violence spread to rural areas. There was fresh recruitment of highly motivated youth and surge in targeting of Police and Security Forces. Burhan Wani’s killing was a trigger for the volatile situation to explode. Pakistan exploited the situation as part of its agenda to dismember India. What went wrong after a successful Assembly Poll in 2014? That will be the immediate challenge for the Interlocutor to analyse and understand. The contents of the Agenda of Alliance (AoA) and inability of the coalition to move forward on them can provide a possible clue to the cause of disillusionment. The AoA, among other issues, included sustained dialogue with internal stake holders, maintaining present position on all Constitutional provisions including special status, periodic review of need for special laws, protection and fostering of religious diversity by return of Kashmiri Pandits, settlement of refugees from West Pakistan and PoK and equitable attention to different regions. These are all issues that need attention to make the environment conducive for development. No doubt development and good governance are important; it will be the issues with political overtones that will generate more enthusiasm among stakeholders. The AoA also talked of catalyzing reconciliation and confidence building within and across the LoC. 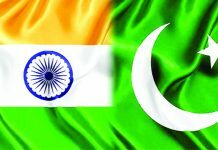 With Indo-Pak relations hitting low ebb and all efforts by the Government of India to reach out to Pakistan failing to elicit any favourable response, there is need for that extra push to set our own house in order. The Interlocutor will need full support of the Governments at the Centre and the State to implement remedial measures for return of peace. From the long term perspective, the Interlocutor can draw upon different models of engagement that have been tried in the past. Whatever he eventually comes up with must not only be acceptable to major stake holders within the State but it must be based on consensus among major political parties of the country. That will ensure continuity in implementation and also work towards national reconciliation on Jammu and Kashmir, one of the inclusions of AoA. Pakistan continues to use terrorism as its State policy to promote violence in Jammu and Kashmir and elsewhere. India can’t wait endlessly for complete peace to return to initiate process of conflict resolution through engagement. Therefore, a well intentioned engagement must be given a chance. Simultaneously, fight against terrorism, legal action against separatists for their unlawful activities, incremental democratization process (civic and panchayat elections) and exploring possibility of limited demilitarization when the situation allows, must continue. It should be left to the Interlocutor to recommend confidence building measures at appropriate times to facilitate purposeful and result oriented engagement. 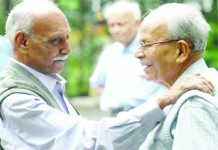 The Interlocutor Dineswar Sharma has a challenging task ahead of him. His credentials have begun raising expectations of the people of Jammu and Kashmir. His intelligence background gives him the advantage of access to direct as well as back channels to reach and bring around various stakeholders. He has the ears of the Government. It is hoped that he will be able to feel the pulse of the people of different regions and make unbiased recommendations that help return of peace in the immediate future and work towards drawing a road map for reconciliation.